Jack C. Daniels, 97, of White Settlement, Tx. Passed away Tuesday, February 19, 2019 at his residence. Mr. Daniels was born on April 26, 1921 to William And Ruth Daniels in Bailey, Tx. He graduated from Trenton High School in May 1939 where he liked to play all sports. 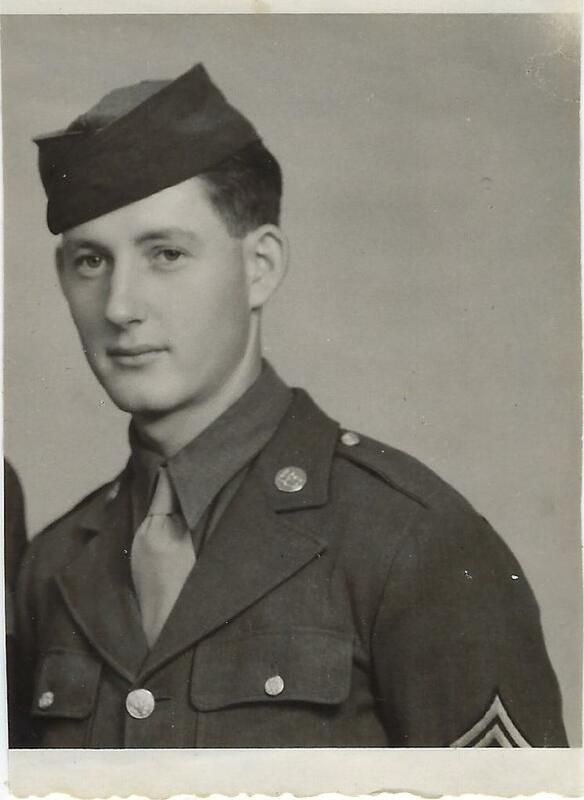 He was drafted into the Army on July 18, 1942. He was sent overseas to fight in WWII, he was discharged from the Army on October 8, 1945 at the rank of corporal. He moved his family to Ft. Worth in 1951. The best job that he said he ever had was working for Miller Brewing Company until he retired in 1986. In retirement he liked to build things with his hands, Jack was preceded in death by his wife, Bessie Jean Daniels; son, Danny Jack Daniels and grandson Jason Eargle. Funeral Services will be held Friday, February 22, 2019 at 2:00 P.M. in the R.W. Owens & Son Funeral Chapel in Wolfe City, Texas, visitation will be an hour before the service. A Military Honors graveside service and burial will follow at Mt. Carmel Cemetery in Wolfe City, Texas.